Sammye Oden Kok practices in the area of family law, including divorces, adoptions, child custody and mediation, primarily in the family law area. Sam is a Fellow in the American Academy of Matrimonial Lawyers. She is a member of the Alabama and Birmingham Bar Associations. She is also registered as an Alabama State Court Mediator with the Alabama Center for Domestic Dispute for civil, domestic, domestic abuse and appellate mediation. 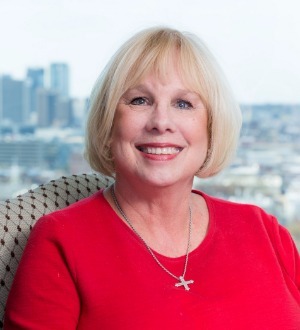 She is one of the founding members of the Alabama Academy of Attorney Mediators, and is a frequent speaker on family law, mediation and adoption issues. She was selected as the Best Lawyer’s© 2017 edition as “Lawyer of the Year” for Birmingham recognized in the area of Family Law. Only one lawyer in each specialty area in a particular legal community is honored as a Lawyer of the Year She was also recognized by Best Lawyers® for 2017 in both Family Law and Family Mediation She was also named as a "B-Metro's Top Women Lawyers 2016" in the August edition of B-Metro Magazine. The magazine partnered with AVVO.com, which is a leading online legal directory that rates all attorneys on a 10-point scale, factoring in peer endorsements as well as experience, education, training, speaking, publishing and awards. She was also selected as She is a 2010 recipient of "Super Lawyers" in the area of Family Law. Sam is Peer Review Rated AV by Martindale-Hubbell®.